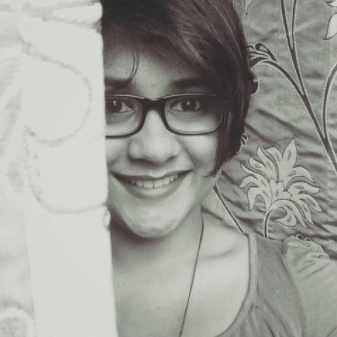 No matter how much you claim to dislike all things Bollywood, the second you know you're going to be in the presence of a celebrity, you KNOW you're going to be whipping out your camera and going batshit crazy on a selfie spree. Yes, yes, I get it. Not all of us mortals are blessed with unending opportunities to meet our favourite stars and hang out with them on red carpets or at award shows. But this is exactly why we need their all-too-lifelike statues, don't we? Madame Tussauds Wax Museum, thanks to its counterparts launched in different parts of the world, has been the go-to destination for a lot of Indians abroad. From Bollywood superstar Amitabh Bachchan and Prime Minister Narendra Modi, to master blaster Sachin Tendulkar and our lovely former Miss World Aishwarya Rai - the stars have all been immortalised through their wax statues, and we really can't help but pose to our heart's content when we visit them. The latest celebrity to join the rank of Bollywood stars in Madame Tussauds Hong Kong, is none other than actor Varun Dhawan, and he is just as excited as you'd expect any of us to be, when he heard the news. Now I know what you’re thinking. Celebs are so used to receiving fame and accolades from so many different avenues, what’s one wax statue added to the cap-full of feathers, right? 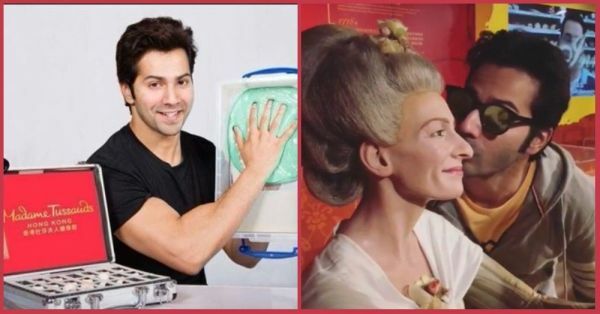 Trust Varun Dhawan to surprise us and show us that, when it comes to clicking pictures with wax statues of celebrities at Madame Tussauds, he is every one of us desi tourists, ever! It wasn’t long before he excitedly began posting pictures of himself casually having a conversation with other wax figures around him, and very sincerely thanking them all for being there for his statue unveiling! Lo and behold! It was finally time for Varun to meet his wax twin, and I gotta say, they did nail his nuances perfectly well, alright. So life-like, that you could almost sneak up to the statue and whisper "Tera dhyaan kidhar hai" and expect the statue to wink right at you as you do! The Dhawan family was right there with Varun, supporting him, and of course, didn't miss a chance to pose right next to his statue, because come on, you gotta commit to the inherent desiness, right? The resemblance is quite striking, don't you think? Look at them parents being such adorable posers beside their son's achievement. It doesn't matter if you're a celebrity; if you stand next to a wax statue, you pose, no matter how old or how influential you are! And right on cue, we have more posing and more pictures! Congratulations on your wax figure, Varun! Here's toasting to your heropanti in Bollywood, now and forever!